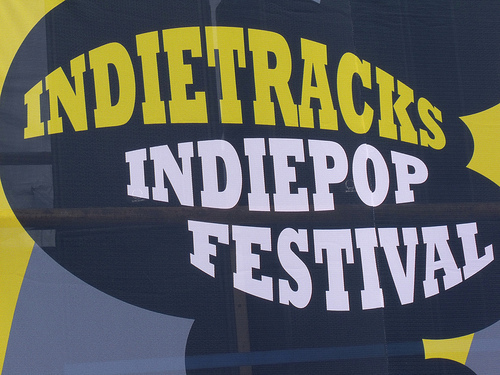 Milky Wimpshake, Moustache of Insanity, The Hidden Cameras, Math and Physics Club, Edwyn Collins, and many others are performing today at the Indietracks Festival in the UK. 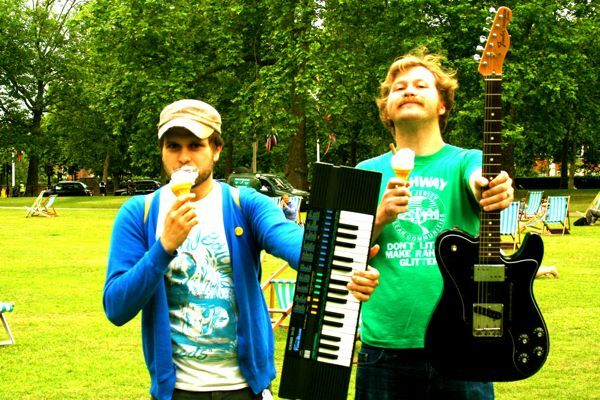 Today we have the song I wanna be seen in public with you by Milky Wimpshake. 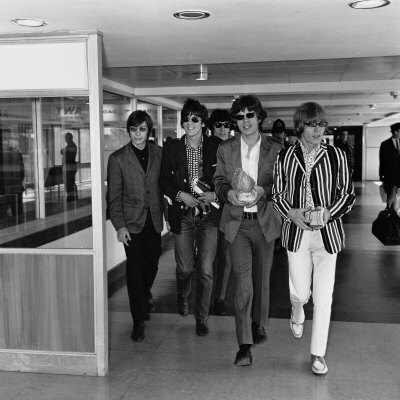 On this day in 1966 The Rolling Stones played the last show of their 30 city American tour in Honolulu, Hawaii. The band’s eight song set at the Honolulu International Center concluded with “(I Can’t Get No) Satisfaction.” Today we have the song I Can’t Get No Satisfaction (Thank God) by Talulah Gosh. Our good friends Math and Physics Club are performing at The Castle Hotel in Manchester, England tonight. Today we have the song I’ve Been That Boy by MAPC. Enjoy! The duo Moustache Of Insanity (featuring Bill from Allo Darlin’) are performing tomorrow night at Henry’s Cellar Bar in Edinburgh, Scotland. 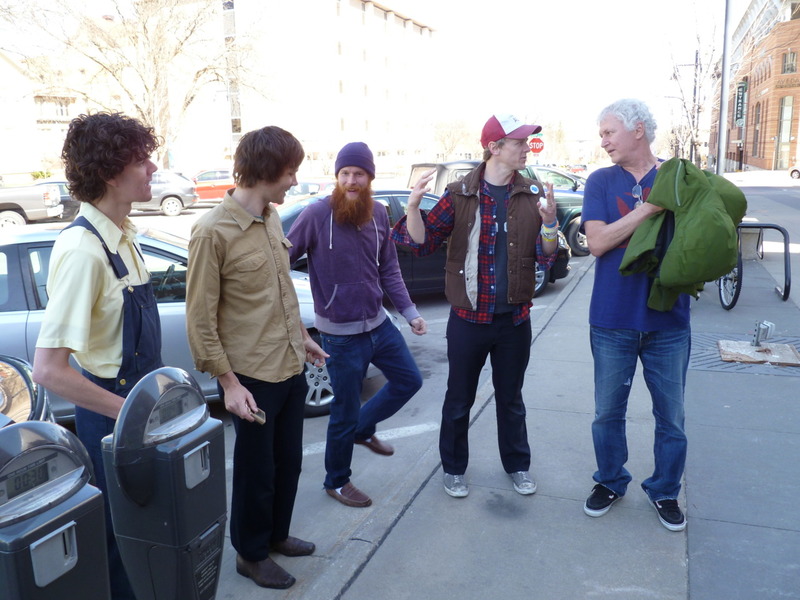 The band has a new record titled Album Of Death that will officially be released next month on PTY / Fika Recordings. Today we have the song We Need More Awesome from the upcoming Album Of Death record. Happy Friday! Poison Control Center are playing tomorrow night with Kleenex Girl Wonder and Robbers on High Street (Robert Pollard not included) at Union Hall in the heart of Park Slope, Brooklyn. Today we have Poison Control Center performing the Tullycraft song The Last Song from the Wish I’d Kept A Scrapbook tribute record available on Unchikun Records. 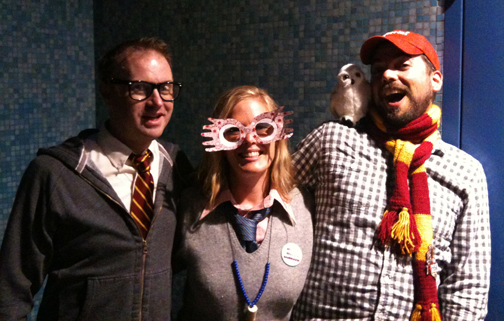 Last night Jenny, Cori and I went to the opening night showing of the new Harry Potter movie. Yes, we are nerds. 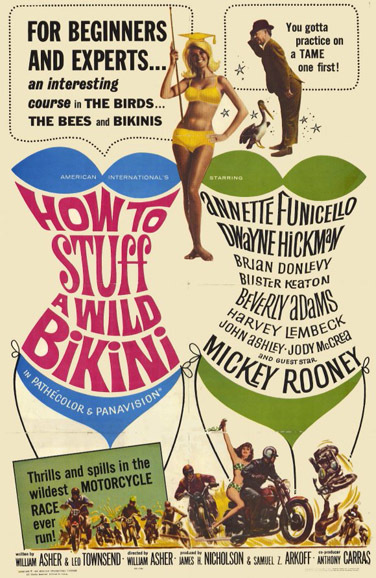 On this day in 1965, the film How To Stuff A Wild Bikini starring Annette Funicello and Frankie Avalon was released in the US. Avalon’s role was reportedly minimized as “punishment” after he asked producers for more money than they were willing to pay. He only appears on-screen for about six minutes. The movie is notable as it features the only big screen appearance by The Kingsmen (the famous garage rock rock band from Portland, OR). After hearing the original title track for the movie, I was convinced I could write a better theme song. Today we have the original recording, How To Stuff A Wild Bikini and the Tullycraft song Wild Bikini for which it inspired.